The Grand Canyon has long been a regular in the bucket lists of people from all over the world — tourists, road-trippers and hikers alike. There’s good reason for this fame, too. The destination is a vast, beautiful canvas of colors and geological prowess. For hikers, the Grand Canyon is home to endless numbers of trails. With either easy or difficult ratings, and with each one ending in an uphill trek, you’ll find a unique array of challenges and rewards no matter which trail you choose. Here are four of the top trails to check out when hiking the Grand Canyon. One of the steeper trails, this day hike provides you with a visit to either the Santa Maria Spring (5 miles round trip) or Dripping Springs (7 miles round trip). Conditions on this shorter trail tend to be tougher than others, however, as its steep nature and the desert climate can be too much for unprepared hikers. Bonus: You can drink water from the springs, but be sure to treat it first. An easier trail on which to test your mettle, the Rim Trail doesn’t actually descend into the canyon at all and stretches across pretty flat terrain. Furthermore, at only 12 miles long, the Rim Trail is ideal for becoming acquainted with the dry, rocky region’s unique challenges. An easy rating doesn’t mean boring, though; the trail also boasts some of the best views of the Grand Canyon, especially after sunrise or just before sunset. Rated difficult, this tough 16-mile trek is the ideal method of descending into the canyon, through it and then back out. Be prepared to set aside a few days when tackling this stretch, though. Start at the Kaibab Trail trailhead and at the end of the day, rest up at the Bright Angel campground. The next morning, continue your hike up to the canyon rim via the Bright Angel Trail. 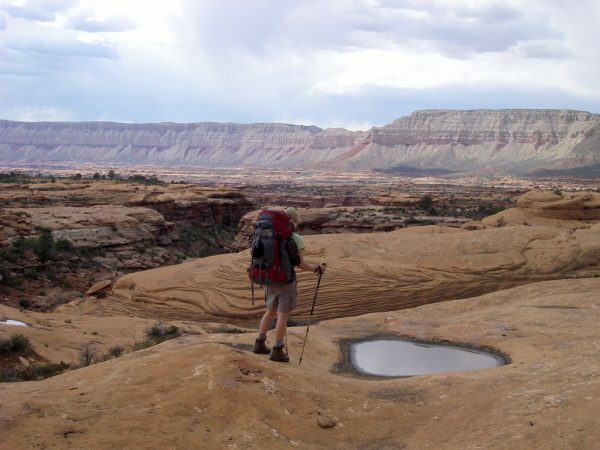 Not for the faint of heart, this rugged 24-mile hike takes you down to the Supai Indian Reservation next to the Grand Canyon National Park, where you’ll pass through Supai, a Native American town that makes a great rest stop to recharge. This expansive journey has rich rewards, however, as you’ll take in breathtaking views of the Havasu and Mooney Falls. Be mindful of mules, however, as they’ll have the right-of-way on the trails. Bonus: You’ll also get to see caves! If you have the time and need a night to recharge for the next leg of the trail, spend a night at the Bright Angel or Indian Garden campgrounds. Both sit at convenient locations along the trails and even provide great starting points for venturing out onto new trails the next day.